MAJOR UPDATING--MUST SEE AGAIN! Incredible value! Rutenberg built home situated on almost a half-acre wooded lot offering total privacy. This is a one story home offers 4 bedrooms, den, and bonus room! The kitchen offers white wood cabinets, center-island, casual dinette, new stainless steel appliances and flows to the oversized family room with sliding glass doors to the lanai. Spacious master suite with sitting area, walk-in closet, full private master bath with jetted tub, walk-in shower and separate vanities. The huge bonus room is the perfect set-up for a media/game room or a 5th bedroom featuring vaulted ceilings. large palladium window and two closets. 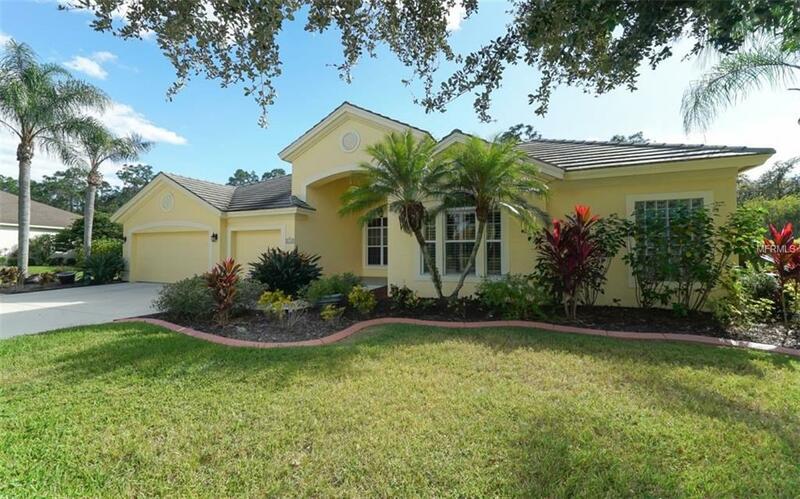 Enjoy the Florida lifestyle in the extended lanai with recently resurfaced heated (2017) pool, two covered entertaining areas while enjoying total privacy along with desirable southwestern exposure. Other features include: New stainless steel kitchen appliances in 10/2018, tile roof, tray ceiling, extensive landscaping added in 2017, pool caged prescreened in 2017, new pool pump 2017, house interior & exterior painted, two newer HVAC systems in 2014, two new water heaters 2014, in wall tube systems for insect control, cable wired (6 outlets), central vac, 3 car garage, glass front entry door, bronzed framed lanai, disappearing sliding doors, continuous tiled flooring, plantation shutters and more. River Club is a deed restricted golf community with low HOA fees, NO CDD's and located with close proximity to all shopping, golf courses and more!